Binghamton is a located just off the Pennsylvania border where the Susquehanna and Chenango Rivers meet. It may be best known as the place where computer giant IBM got its start - a circumstance that set off an electronics and defense boom in the city that led to its being called the "Valley of Opportunity." Over the years, Binghamton's value to the defense industry has declined, and while technology is still a factor in the city, much of the economy today is built around Binghamton University, with education a major influence on the city's financial strength. 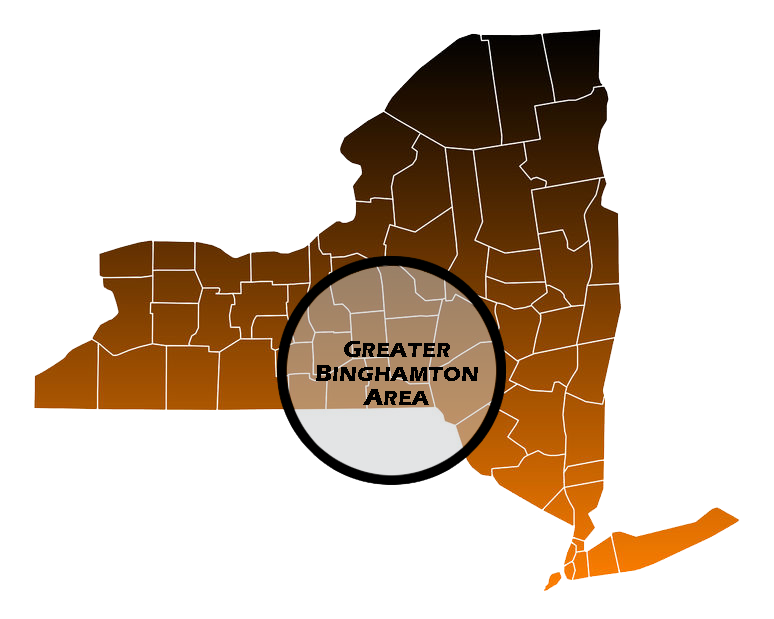 Binghamton is a major transportation hub with respect to the Interstate Highway System. Interstate 81 runs through the city to areas like Syracuse, Pennsylvania and Ontario, while Interstate 88 can take you directly from Binghamton to Albany. Binghamton is a great place to own a car, as the Interstate is always easily accessible and can get you almost anywhere. Of course, before you merge on, you want to make sure your Binghamton auto insurance is up-to-date. For a free Binghamton car insurance quote, you can contact Capital Gate Insurance Group now and get great rates from competing insurance brokers in the area. Binghamton is well-known for its outdoor sporting activities. You can find biking opportunities, walking trails and more all over the city, including the popular Binghamton River Trail. Before taking your ATV out in Binghamton, make sure the area is approved for that kind of activity and make sure you have reliable Binghamton ATV insurance. As you might expect, Capital Gate Insurance Group is the place to contact for Binghamton ATV insurance as well as boat, camper, motorhome, travel trailer, RV and motorcycle insurance. Binghamton natives live in one of seven neighborhoods: the younger and artier downtown Binghamton, the more working-class North Side, the primarily residential East Side and West Side, the eclectic South Side, the First Ward - famous for its ornate churches and antique shops - and the northernmost Ely Park, containing Binghamton's municipal golf course. Whichever neighborhood you choose to live in, Capital Gate Insurance Group can help you find the right Binghamton homeowners insurance to fit your home. If you're renting your home, contact Capital Gate for a quote on Binghamton renters' insurance to protect you from personal property loss and liability. If you're living in Binghamton with your family, you'll also want to make sure you have the best possible Binghamton life insurance policy to cover you. There are many economic opportunities for the enterprising businessperson in Binghamton - especially education businesses relating to the popular Binghamton University. Technology and healthcare opportunities also abound. Whatever field you're in, without the right Binghamton commercial insurance, your enterprise could be over before it starts. Finding affordable business insurance that covers your company where you need it is the first step. Protect yourself from liability, statutory workmans compensation in New York and commercial vehicle mishaps by starting with a Binghamton business insurance quote from Capital Gate Insurance Group.